I’m a Computational Evolutionary Geneticist. This means that while I am interested in researching evolution, I work using a computer rather than at a lab bench or out in the field. As a postdoc I mostly work on projects that other people have come up with the initial idea for and obtained the funding for. Currently I’m working in Andrew Kern’s lab at Rutgers in the USA, a lab which specialises in population genetics. I’ve been out in the USA since November 2013, but before that I was based in various different locations around the UK. At the moment, the projects I’m working with are involved in comparing the genomes of different species and seeing how they have diverged over time. One of our projects is looking at differences between humans and other apes, to attempt to identify the human differences that led to the things we think of as human characteristics, such as language. The other main project is looking at a number of damselfly species (Enallagma) and looking to see whether differences in gene expression (which genes are switched on when) are responsible for the ability of different species to evade different predators. I also do some research into transposable element evolution (segments of DNA which move about the genome and replicate with no known consistent advantage to the host organism). I was introduced to Transposable Elements in my last postdoctoral position at the University of Nottingham and this is where my interests really lie. However, at this point in my career I think it’s important to gain experience working in other systems as well. I went to Manchester University to study Molecular Biology as an Undergraduate, the program had a year out in industry which I was very keen on as I thought it would improve my career prospects (probably right in that regard). In hindsight, I wished I had changed my degree to Genetics, I was never very good at the practical side of Molecular Biology, some people love long involved practical sessions involving pipetting solutions you can barely see, but I wasn’t one of them. I loved Manchester though. I came originally from a small market town and I was very keen to try myself out in a big city. I love cities now and one of the great things about working in Universities is that so many are in them. My year in industry was at HGMP-RC which was on the same campus in Hinxton, Cambridgeshire as the European Bioinformatics Institute and the Sanger Institute. Unfortunately it no longer exists, but it introduced me to Bioinformatics and if I hadn’t gone there, I probably would be doing something very different now. After my undergrad I went to the University of York to do an MRes in Bioinformatics for a year and then did a PhD at the Sussex and Brighton Medical School where I was researching genes possibly involved in human response to the BCG vaccine. After this I worked for 3 years at the University of Nottingham as a Postdoc in John Brookfield’s lab, a job which I really loved. It was my introduction to the field of evolutionary genetics and was where I think I really found my niche. I think in some ways it affected the places I wanted to move to. I moved to Manchester partly for the course, but partly because I liked the idea of a large, cosmopolitan, gay friendly city. 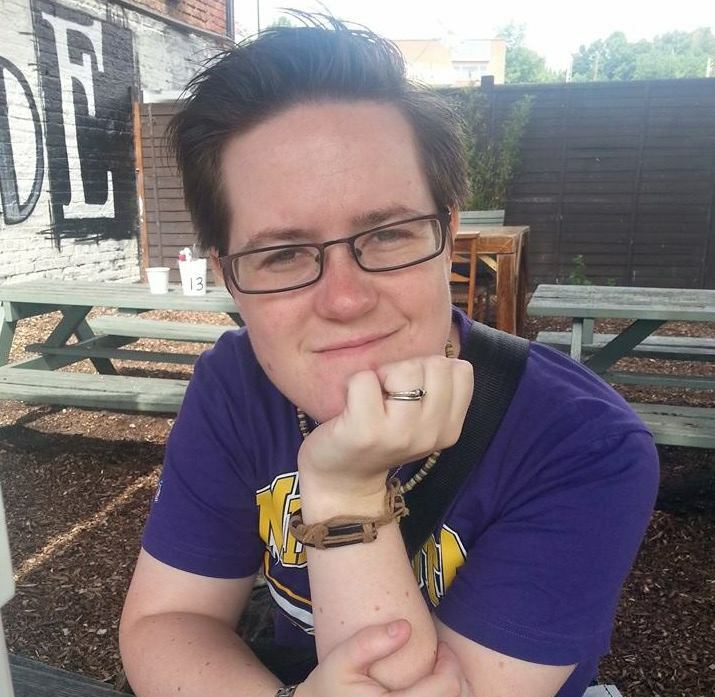 I came out in the Summer between school and University and was keen to start a new life that was more me! Equally, the fact that my Phd was in Brighton definitely added to it’s appeal. I’ve never had any really obvious bad reactions, the ones I have had have mainly been from people who’ve liked me as a colleague, but are quite religious and can’t quite seem to square my sexuality with their religious beliefs. I tend to think this is their problem not mine though! One of the things that does happen to me quite often in a work context or at conferences or on twitter, is that people come out to me when they aren’t necessarily out to other people. I think it happens because I’m quite butch and therefore quite easy to identify! 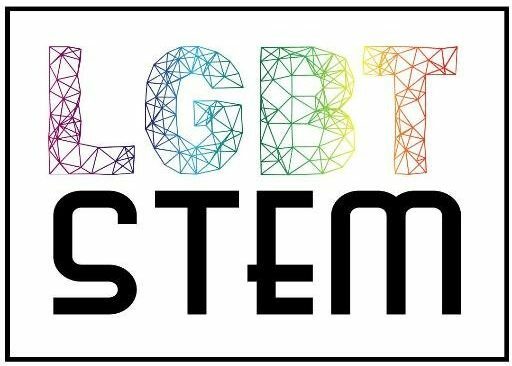 It definitely make me feel like there’s a need for visible LGBT people in STEM subjects. Often these people who confide in me are either quite worried about what other people’s reactions are going to be, or they’re just a bit bemused as to where all the non straight people are and can end up feeling quite alone because of it. My Dad’s an engineer and he used to do science demonstrations (the eclipse one sticks in my mind particularly) with me & my sister when we were little and I think that was what always drew me to science. In my later teenage years the person who probably had the most influence on me was (the fictional) Willow Rosenberg, so I guess I have to partly thank Joss Whedon and Alyson Hannigan for my scientific career. I’m looking at coming back to England in the near future, I’ve got a few irons in the fire, but nothing definite yet. I’m hoping to continue working in the academic sector and in the next few years to have funding to work on projects I’ve initiated.